UPDATE: The Portland State University is inviting applications for International Achievement Scholarship for the academic year 2017-2018. The International Achievement Scholarship is awarded to incoming international undergraduate (freshmen and transfer) students on the basis of their academic achievement. Scholarship Award: Award amount to $4,500 per year will be awarded to the students. The International Achievement Scholarship is awarded to incoming international undergraduate students on the basis of their academic achievement. Students who maintain high academic standing may receive renewed funding for up to four years. Eligible students typically have entering grade point averages (GPA) of at least 3.25 out of a possible 4.0 grading scale. Students who have not yet met the TOEFL/English Language Proficiency requirement are eligible for this scholarship; however, activation of the scholarship will be delayed until after the ESL restriction has been lifted and the students are fully eligible for unrestricted enrollment in academic classes. The International Achievement Scholarship is restricted to new admission applicants only. 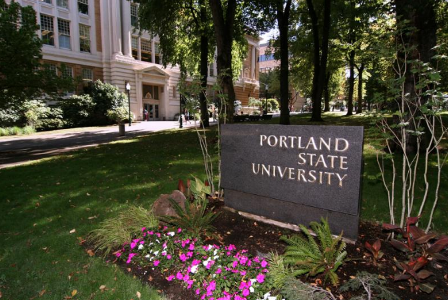 Students already enrolled at Portland state are not eligible to apply for this scholarship. The award is available only to new undergraduate freshmen and transfer applicants. All admitted students automatically will be considered for the scholarship. You are not required to submit a scholarship application form. Now that all the information about Portland State University USA International Achievement Scholarships has been delivered nicely; talented students who are eager to pursue their Shell Free Tuition/Scholarships/Study in USA for Undergraduate, Bachelors, Postgraduate, Masters, PhD, Associate Degree and Other Degrees, can apply now. Application Deadline: Scholarship application deadline is March 1, 2017.